Are you a scientist who would like to cooperate with us on a study? 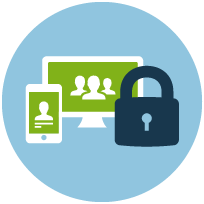 We can assist you with the planning of projects, provide customized brain training exercises as well as NeuroNation data in compliance with the German data protection regulations. We look forward to hearing from you. Maintain Your Brain is the world’s largest online trial aimed at preventing cognitive decline and dementia. The trial will invite 15,000 individuals aged 55-75 years into a series of individually-customised modules that address the main lifestyle-related dementia risk factors: physical exercise, cognitive training, diet and nutrition and stress and depression management. Maintain Your Brain commences in 2018 and will run until 2022. Patients who have received chemotherapy often complain about cognitive problems following treatment, and the impairments can also be observed with neuropsychological tests. NeuroNation cooperates with the Department of Neurology of the university hospital Charité (Berlin, Germany) to investigate, whether cognitive impairments related to chemotherapy treatment can be alleviated by cognitive training exercises developed by NeuroNation. Recently there has been great interest in developing non-pharmaceutical strategies for treating neurodegenerative diseases. Researchers at the Edith Cowan University (Australia) investigate whether a multidisciplinary intervention delays the onset and progression of Huntington's disease. In this collaborative study participants train for nine months using NeuroNation's cognitive training in conjunction with aerobic and resistance exercise. Schizophrenia is a complex disorder characterized by positive and negative symptoms as well as core cognitive deficits. A key challenge for cognitive remediation research is to determine, which techniques and strategies provide the most benefit, and how to effectively deliver them. Researchers at the Centre for Neuroscience Studies and the Department of Psychiatry of the Queen’s University (Kingston, Canada), are conducting a study to determine an optimal temporal structure of cognitive training for patients with schizophrenia. The researchers compare the effects of repeated two minute bursts of training and rest with sustained 10 minutes of constant training. In addition to behavioural changes, measurements of the brain’s electrophysiological activity are recorded in order to gain deeper insight into training-related changes in specific cognitive processes. How does training of different cognitive abilities affect school performance in primary school children? And what role do motivational factors play in training success? Researchers at the Goethe University Frankfurt (Germany) investigate, whether a four-week training intervention with tasks developed by NeuroNation improves reading and math performance in children. By introducing gamification elements such as a cover story the researchers additionally study the influence of motivational factors on training and transfer effects. Prof. Dr. Strobach investigates the effects of brain training on various cognitive functions using training exercises provided by NeuroNation. The data is currently under analysis, and more details will be shared with the release of the study. A third of all patients suffering from depression do not respond to a treatment using antidepressants. Noninvasive brain stimulation is an innovative technique that is continuously gaining more popularity as a complementary treatment method. In a study at the University Hospital Bonn, patients receive daily brain stimulation in combination with cognitive training over a period of three weeks. The goal is to reduce symptoms associated with depression as well as to improve cognitive performance. The cognitive challenges of older employees have increased due to digitalization and the demographic shift in the society. If older people profit from cognitive training in the same way as young people, are there differences between different exercises, or effects of working hours? These are questions that Prof. Dr. Gerrit Hirschfeld, professor for Quantitative Methods in the Osnabrück University of Applied Sciences aims to answer with his students using NeuroNation exercises. 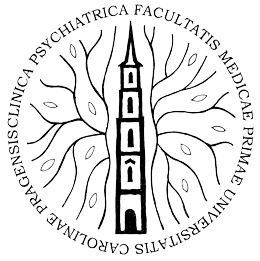 Researchers at the Department of eating disorders at Santa Corona hospital in Pietra Ligure, Italy, are conducting a collaborative study with the Psychiatric Clinic of the First Faculty of Medicine of the Charles University in Prague (Czech Republic) to analyse, whether computerized brain training has beneficial effects on patients with anorexia nervosa. Anorexia nervosa is an eating disorder that is characterized by a pathological fear of gaining weight. A growing amount of research has been conducted in order to examine the role of brain mechanisms in eating disorders. According to the brain plasticity theory, structured brain training can alter the neuronal structure of the brain. This could have an extended impact on the treatment of diseases, such as anorexia nervosa, that compromise the normal executive functioning of the brain. Parkinson’s disease is often associated with impairments in cognitive functions. In a collaborative study with the University Hospital Cologne, patients who are not yet suffering from cognitive deficits receive an intensive working memory training intervention over a period of five weeks. The goal of this training is to sustainably stabilize the patients’ cognitive capacities. A doctoral student at the Bielefeld University (Germany) is examining the attention span of athletes with NeuroNation’s training programmes. It is of particular interest, to what extent professional and amateur athletes differ in their attention span. NeuroNation brain training exercises are applied to model these differences. How does computer-based training of verbal fluency affect elderly people's language skills and comprehension? This question is investigated by Bianca Spelter, a speech therapy student at the University of Applied Sciences in Bochum (Germany). The study is supervised by Prof. Dr. Sascha Sommer. Read more. How can brain training help patients with Parkinson's disease? Professor Daniela Berg and her research team at the Hertie Institute's Department of Clinical Neurodegeneration are exploring the possible benefits of brain training in conjunction with physical exercise in Parkinson's patients. The study has recently begun with more details to be released soon. Which brain training exercises are most beneficial for stroke rehabilitation and for the recovery from neurological problems? With the assistance of Dr. Wolfgang Klein, who runs the project 'Rehab@Home', NeuroNation helps patients participate in rehabilitation interventions in the comfort of their own homes. The German BKK offers reimbursement for NeuroNation subscriptions used as part of patient's stroke rehabilitation . Studies show the importance of regular mental activity in old age . The Bremer Aged Care Centre uses the NeuroNation app in its care facilities. The app proves to be very popular with the home's residents. For years he has studied the effects of different types of cognitive training on brain plasticity and functions. The research field concentrates on people's ability to multitask, the efficacy of training with video games, and the influence of training on aging and cognition. advises and supports the NeuroNation team in developing new exercises. Since 2006 he has directed the research area of General Psychology and Neuropsychology at the Free University of Berlin. Professor Niedeggen focuses on attention and memory disorders, and he offers cognitive training to elderly patients. NeuroNation works closely with Prof. Niedeggen in optimizing the exercises to fulfill scientific criteria. In 2012, Niedeggen conducted a study that showed NeuroNation to be effective: the participants showed significant improvements in their attention span and memory. is the director of the institute „Arbeiten, Lernen, Altern“ („Working, Learning, Aging“), which focuses on different topics concerning aging and work. He is also the editor-in-chief of the Journal of Psychophysiology that presents research in all fields concerning physical correlates of psychological processes. In 2014, Prof. Falkenstein established the European Cognitive Aging Society (EUCAS), which promotes research in the field of cognitive ageing. Prof. Falkenstein’s research focuses on assessing mental competencies in employees, on configuring optimal work and learning environments for older employees, as well as on supporting the mental performance of older employees by schooling and training interventions. He also cooperates with clinics and institutions on topics related to mental competencies in children, older patients, and seniors in general. In his research projects Prof. Falkenstein uses cognitive training such as NeuroNation, and advises the NeuroNation team in the development of new exercises.